It is described as eight hours of beauty sleep in a drop. The difference to its predecessor (from 2012)? Everything. It is an advanced formula which incorporates the magic light of Touche Éclat in the first radiance awakening foundation by YSL Beauty. If you know me, you would know how obsessed I am with Touche Éclat, one of my holy grail products. So, this foundation is oh-so-heavenly! It is enriched with the stimulating power of Ruscus Extract, the anti-fatigue formula which energizes skin by stimulating micro-circulation and targeting dullness to instantly improve skin brightness and luminosity. Vitamin E protects against free-radicals. Upon application, it makes me look beautifully awaken and energised. I am ready to face the day. The coverage is medium to full as you build it up. It definitely feels very light and weightless on the skin, you know what they say; your skin, but better. You don’t have to second guess or settle for the shade that might be closest to your skin tone. There are 22 tones in the collection and they range from beiges to golden and rosy beiges, from the lightest to darkest tones and including four brand new additions for a larger-than-ever shade spectrum. In New Zealand, 15 shades are available. Developed with an exclusive Y-shape reservoir, this brush delivers the perfect amount of Touche Éclat Foundation. Pump 2 drops in the well. The brush buffs and distributes product evenly across the skin for a seamless, flawless finish every time. The Y-brush is $89. SPF 22 means I don’t have to apply sunscreen separately. Just yesterday, it was reported on the news that New Zealand has the highest rate of melanoma. So, we definitely have to be extra cautious and apply sunscreen religiously. I also loved that the wearing time is great, it lasted all day while I was out and about. I like foundation with a pump so this is wonderful, keeps the mess to a bare minimum, if at all. 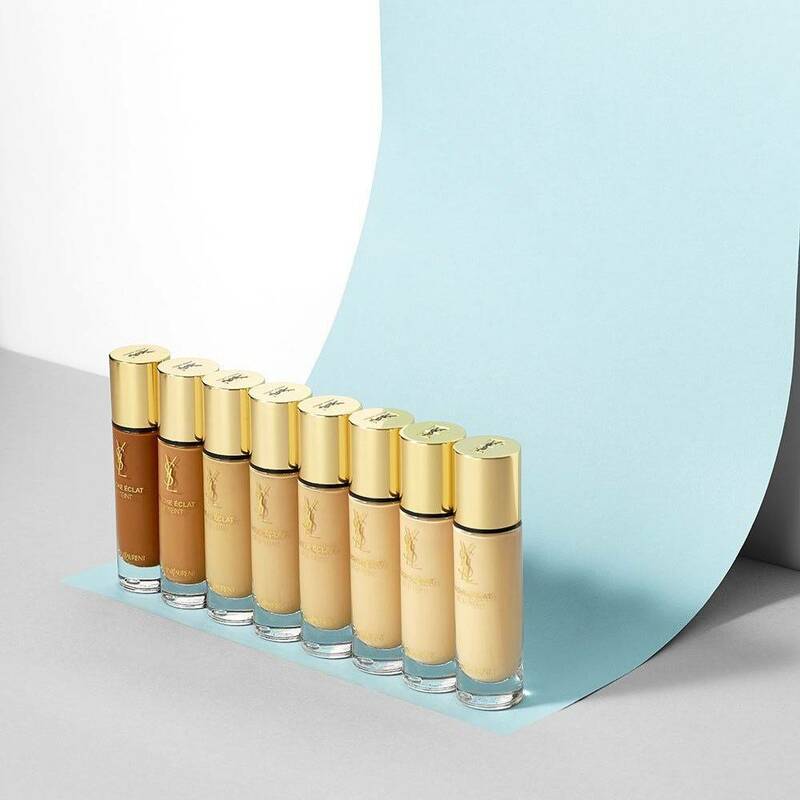 I would initially apply the YSL Top Secrets Instant Moisture Glow before or after I apply this foundation. I find that they are a match made in heaven, especially for my skin, which tends to be dry, and without the Instant Moisture Glow, the dry patches are easily picked up by this foundation! 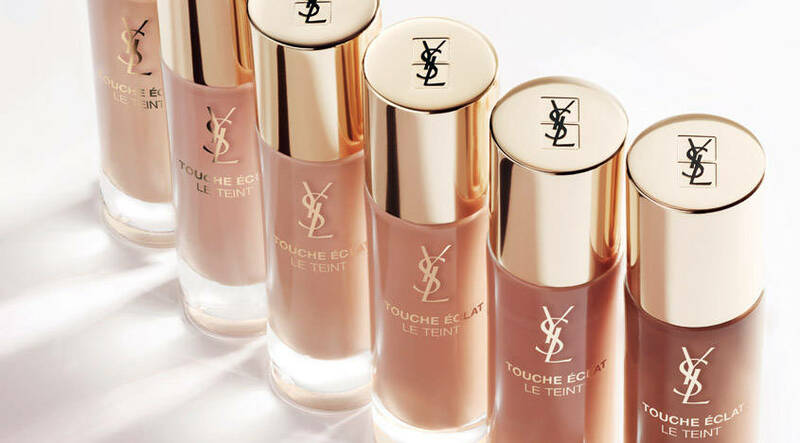 The YSL Touché Éclat Le Teint foundation is available now at YSL Counters in New Zealand, and I believe it’s $98. Definitely a splurge, but one that is worth it.